All natural high-quality Japanese inspired cold brew coffee. Nomi was founded by best friends Kieran and Sam. Their first introduction to cold brew coffee while working in a coffee shop in Melbourne left a lasting memory of the incredible flavour. On a later trip to Japan they sampled the local cold brew coffee and hit upon the idea of combining the cold brew coffee they had experienced in Australia with the convenience of the Japanese ready to drink product. Even better, why not make it high-quality, natural, preservative and guilt free? 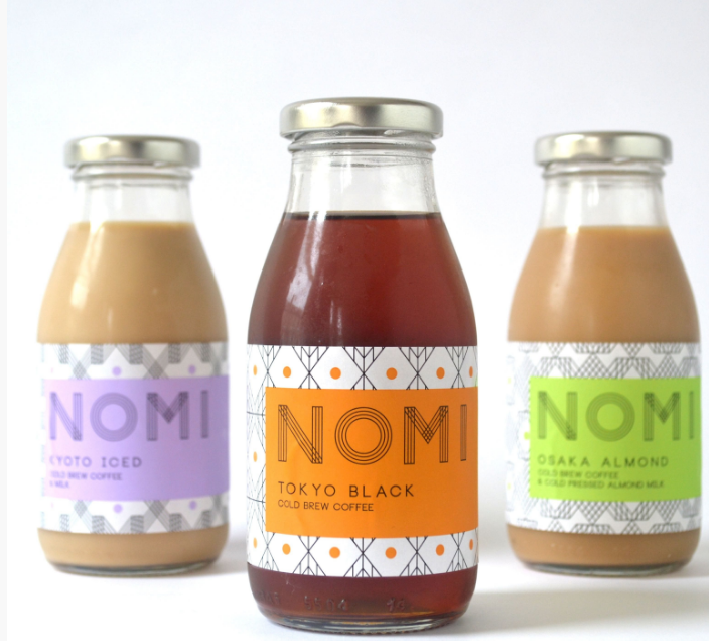 Nomi make their Cold Brew with in season ethically sourced single origin coffee. Cold brewed for more than 16 hours, this reduces acidity and bitterness, allowing the real coffee flavours to come through. Creating a drink that is naturally sweeter and tastes amazing on it’s own or mixed with your favourite milk. A 3 pack of 100% natural cold brew Japanese inspired coffee drinks (pictured above). Using in season, single origin coffee NOMI produce a quality bottled coffee that’s perfect for any on the go occasion. NOMI Kyoto Iced is cold brewed for 16 hours, producing a low acidic and very smooth flavour compared to normal ‘hot’ brewed coffee. The coffee is then mixed with filtered water for a smooth, strong taste. Dubbed THE drink of the summer!